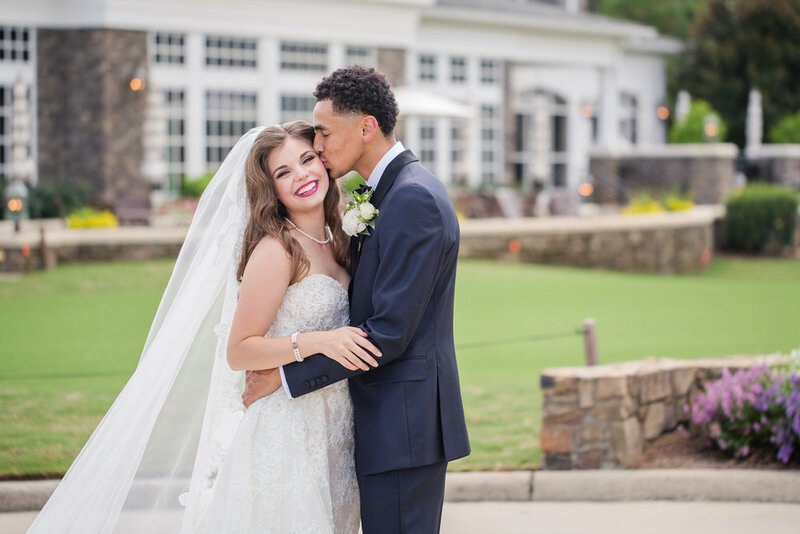 Taylor and Marcus are college sweethearts who met at UNC Chapel Hill. She was a cheerleader and he was a basketball player. 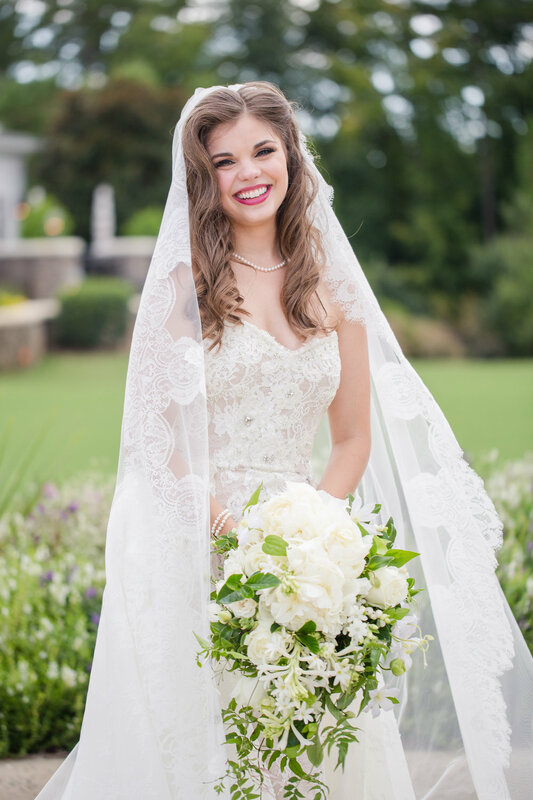 We worked very closely with Taylor and her mother to achieve a vision for traditional flowers with a touch of whimsy. Taylor’s color palette included whites, creams and mixed greenery. 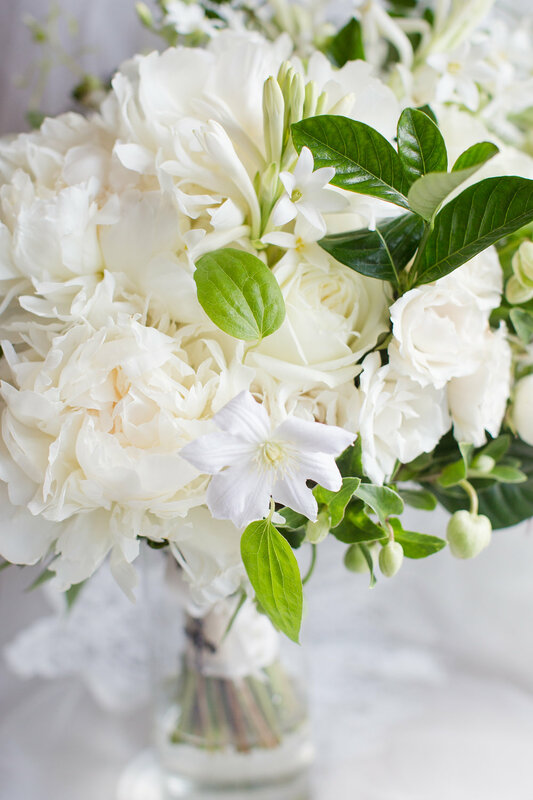 We used peonies, tuberose, jasmine vine, hellebore, dahlia, roses, snapdragons, delphinium, tulips and clematis. 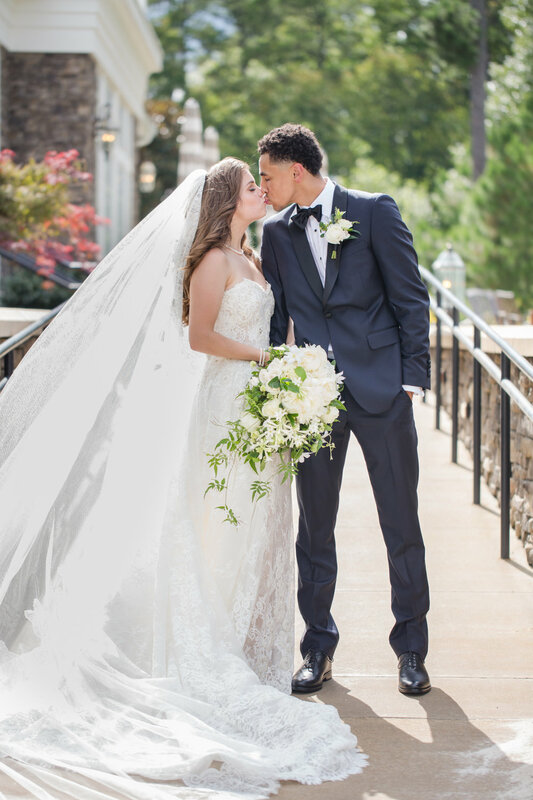 Taylor’s organic, lush cascading bouquet was complimented by the extra large boutonnieres designed specifically for the tall, athletic groomsmen. With the potential for uncooperative weather, the ceremony was moved inside. 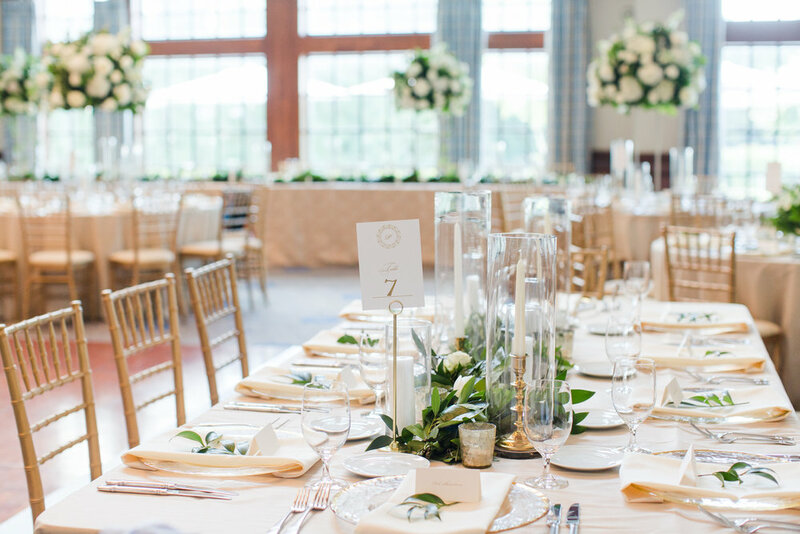 However, with a venue like the Chapel Hill Country Club, the backup option was a beautiful ballroom. Taylor chose a romantic freestanding fireplace mantle for the ceremony backdrop. We had such a fun time designing a floral installation for the mantle. The reception featured both tall and low centerpieces with an abundance of garland. We accented the florals with a mix of taper, pillar and votive candles to create a romantic atmosphere. 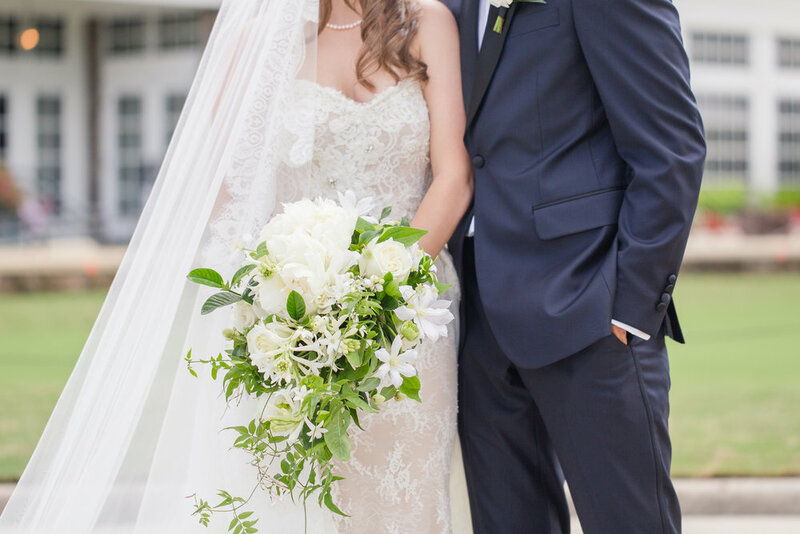 All of these details were beautifully captured by Marie Estes Photography.